Your GUIDE to & ADVOCATE for Medicare! That’s Why We Are Here...For You! We help answer the questions you have the most. How will my prescriptions be paid? We act as your guide and advocate in understanding how Medicare works and what would be the best options to fit your needs and lifestyle. If you are not sure, then talk to an expert! We have consulted with many people who have come to us from other agents or who have picked their plan themselves. They often find that what they really needed was not covered in the plan they chose. Get the coverage you need the first time! Do you need a Medicare Advatage, Supplemental and or Medicare Part D Plan? Which plans can you afford to get the best coverage you need? If you are turning 65, you have a 7-month window to enroll in Medicare. This window begins three months prior to the month in which you turn 65, and includes that month and the three months that follow it. If you are disabled, you must collect Social Security disability benefits for 24 months before you are eligible for Medicare. If you have ALS, then you are automatically enrolled in Medicare A & B when you begin collecting Social Security disability benefits. If you have ESRD, you become eligible 3 months after you begin regular dialysis, or immediately after receiving a kidney transplant. People who enroll in Medicare via disability also have a 7-month enrollment window. Their window begins 3 months prior to their 25th month of Social Security disability benefits, and ends 3 months after that month. There is no such window for ALS or ESRD patients. When I sign up, can I keep my doctor? It depends. If you sign up for Medicare Part B, then you must check to see whether your doctor accepts Medicare patients. If you want Medicare Part C, then you will be choosing a plan with a private company and must check with your company’s provider network to see whether your doctor is in the network. Keep in mind: Even if your doctor is in your company’s provider network, the company can choose to terminate the relationship at any time for various reasons. If I don’t have any prescriptions when I turn 65, do I still need to sign up for a Medicare Part D plan? Who accepts Medicare Supplement plans? Any doctor who accepts Medicare patients must also accept Medicare Supplement plans. What are the pros and cons of using a Medicare Supplement? The benefit is that you gain much more comprehensive coverage, and can tailor it to your needs by selecting the best Medigap policy for you. 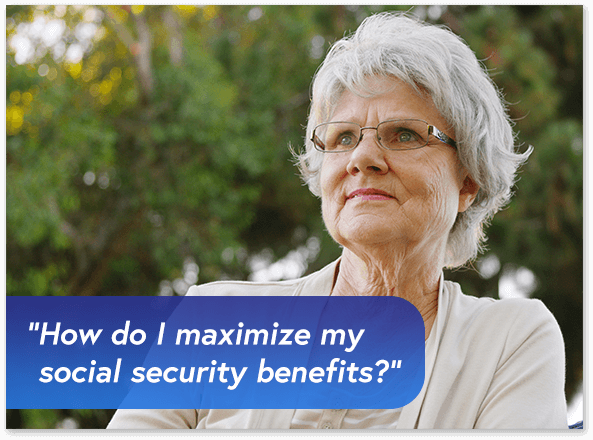 If you choose wisely, you can face various health challenges throughout your senior years without paying out of pocket for much of anything. Because the coverage is guaranteed, provided you sign up during initial enrollment, you can hold onto this coverage literally for the rest of your life, as long as you make your premium payments. The only real disadvantage is the additional premium you must pay, and that you have to make sure you make your payments consistently. If you fail to do this and lose your coverage, then you may have to go through underwriting to be approved again, and that means the insurer gets to ask you about pre-existing conditions. Also, you could have difficulty if you choose the wrong supplement. If you don’t get enough coverage, you could still have high health care costs under certain circumstances. Why should I use a broker to sign up for Medicare? For many reasons. Most importantly, the selection of a Medicare plan involves a comprehensive analysis of several plans – possibly hundreds – before choosing the best one. To weigh all of your different options, you are taking into account your current health profile, and also your future, and asking which services you are most likely to use several years ahead of time. These kinds of calculations are best left to professionals, although once they are done, they become timely information to help you make the choice that covers you where you are at, at your accepted level of risk. In addition, Medicare Part C and Part D plans must be renewed every year, and companies have the right to amend policies annually. Unless you take the time to understand how these plans are evolving, you could easily find yourself paying more for services that you were before, or missing an opportunity to pay less with a new plan. 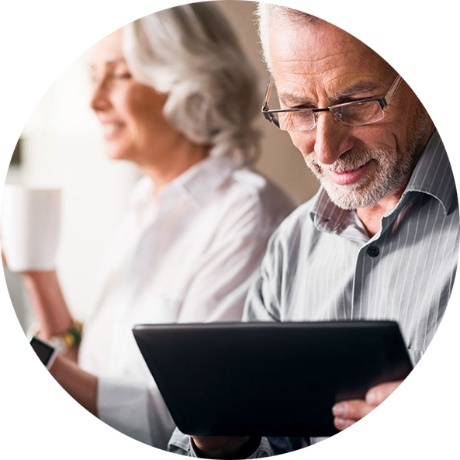 Brokers like CAP Insurance Services monitor all of these updates for you, to help you stay informed so that you can change policies in any year when it is to your advantage. Beyond this, a good broker gives you comfort. When you know that you have the best possible coverage, you won’t be thinking about money when you find yourself in the middle of a major challenge. You can protect your family financially, and give them peace as well. CAP Insurance Services does this with effortless customer service, because we are always willing to make sure that you are happy with your coverage, your carrier, and your service. We help you get it right the first time. Is it possible to switch from a Medicare Advantage Plan to regular Medicare without being penalized? Yes. The easiest way to do this is when your Advantage Plan drops you. 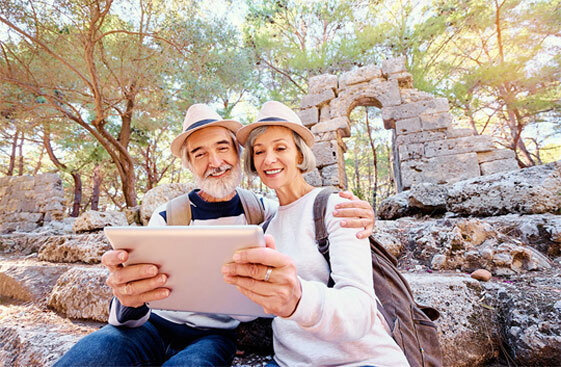 In such a case, you will have a special enrollment period in which you can select a new advantage plan or return to original Medicare, which means you can also get Part D coverage for prescriptions, and a Medigap policy. You can also switch during the annual enrollment period for the following year, or during the disenrollment period at the beginning of the year. You simply apply for Part D drug coverage for the coming year. The problem with switching during these times is that you will likely face medical underwriting when applying for a supplement, and could be denied because of pre-existing conditions. How can I avoid the Part D penalty if I don’t have any prescriptions? There are two ways to avoid a penalty for waiting to sign up for Part D. First: If you have no prescriptions, you can simply sign up for a Part D plan with the lowest premium, and keep it until the day that you need coverage. Then you can switch to a more favorable plan during the annual enrollment period. It may sound expensive, but you could save significant money in the long run. Also, you can simply sign up for a Medicare Advantage Plan (Part C) when you turn 65, and keep it until you need Part D plan. 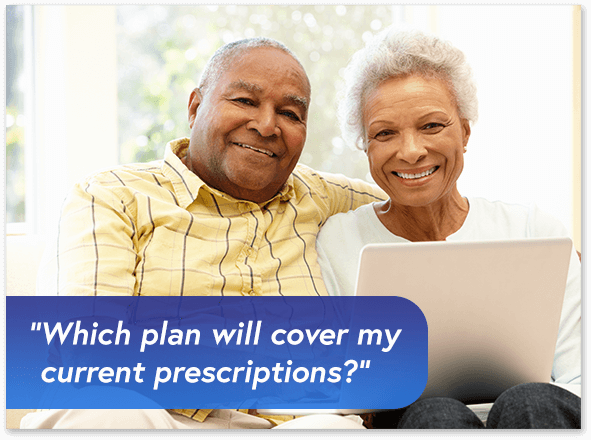 Part C plans include prescription drug coverage, so when the day comes that you need a Part D plan and want to switch back to Original Medicare, you will not face a penalty when you select a Part D plan to go with it, provided you switch during the annual enrollment period, and apply for Plan D first. However, you will likely have to go through medical underwriting if you apply for a supplement, and could be denied if you have pre-existing conditions. What are the pros and cons of the Medicare Advantage Plan (Part C)? Medicare Advantage plans can save money over original Medicare in the short term. However, you must choose your plan carefully each year. The best coverage pays for everything when you need it most. When you’re 65, you may be in relatively good health, and therefore don’t need comprehensive coverage. As such, you may be tempted not to pay for it. If you continue to choose less comprehensive plans year after year, you will save money, but you won’t necessarily be ready when you finally experience an event that requires a strong policy. If you attempt to switch back to Medicare A & B later on, you may have to go through Medical underwriting if you want a Medicare Supplement. These supplements are critical because they pay for your high deductibles and coinsurance charges for an expensive doctor and hospital visits. If you have a serious pre-existing condition, you could be turned down for a supplement, and then you may need to cover these costs out of pocket. What happens if I wait until after my seven-month window to sign up? Medicare will levy a premium penalty on those who miss their enrollment window. This penalty applies to Medicare Parts A, B, and D. In the case of Medicare A, you will pay 10% more premium for two times the number of years you could have had signed up for Part A, but didn’t. In the case of Medicare B, the 10% penalty is cumulative: For every 12-month period that elapses after your enrollment window ends before you sign up, you pay an additional 10% premium. This penalty lasts for as long as you have Medicare Plan B. As for prescription drug coverage, you may have a penalty if 63 days pass after your enrollment window ends, and you still don’t have either Medicare Part D, a Part C plan with drug coverage, creditable coverage (e.g. through your employer), or another Medicare plan that offers prescription drug coverage. The penalty is 1% of the “National Base Beneficiary Premium” (a national average of monthly Part D premiums) times the number of additional months you waited to enroll. This penalty is added to your monthly Part D premium, and remains for as long as you are enrolled in Part D.
Our new ebook about the in's and out's of Medicare will be ready soon. 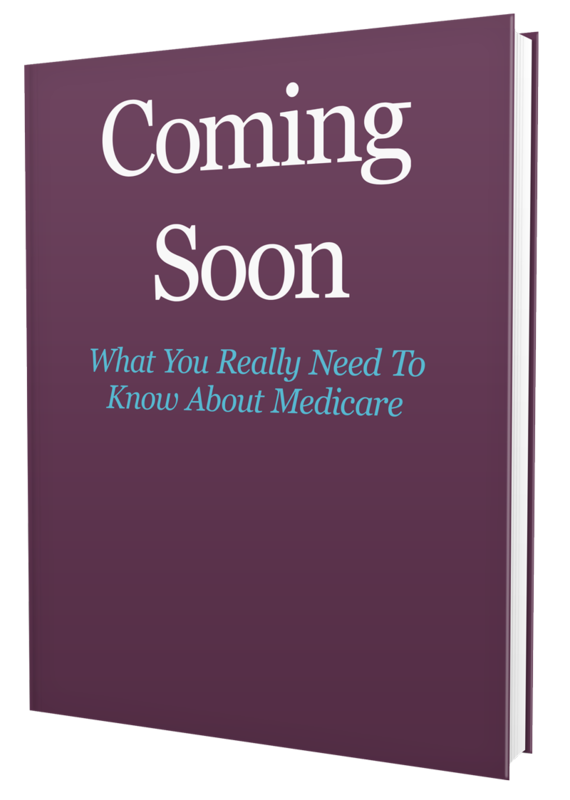 It will detail all the questions we get asked about concerning how Medicare can affect you. Subscribe today and get notified immediately the book is available. The best part, it's FREE! It can be hard to sort through all of the enrollment choices and make a decision that you feel comfortable about. That’s why CAP Insurance offers Free Medicare Workshops tailored to help you! Mr. & Mrs. Gray T.